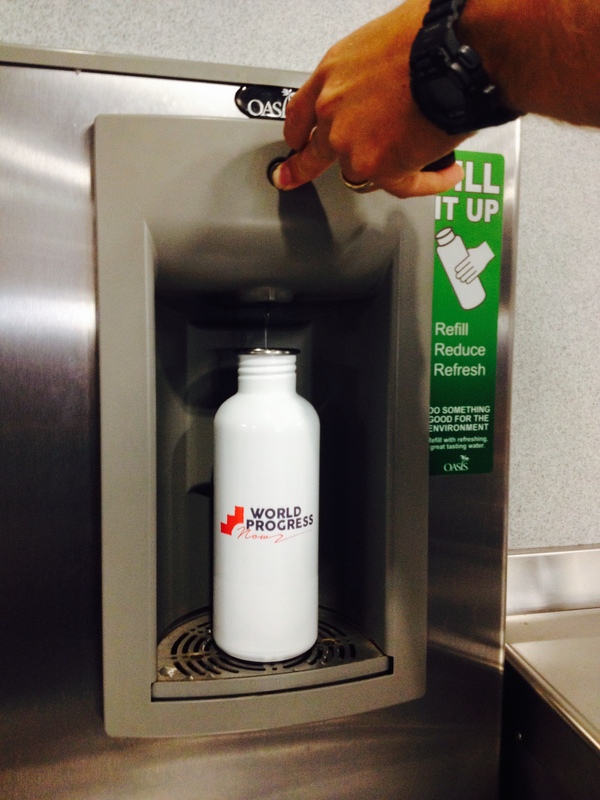 The World Progress Now team ventured off on assignment, the destination: Hollister, California. As part of our quest we wanted to see if there was any progress in the dusty cow town that raised the co-founder and I. We had the chance to visit Spring Grove Elementary School, seven miles northeast of Hollister. It happens to be where I went to Elementary and Middle School. As I walked up to the school after so many years, a category 5 hurricane of memories flooded my sensory net. The inundation continued as I entered the office to check in. There a long time friend and Vice Principal of the school greeted me. We reminisced about our freshman year of college together at San Diego State, we talked of Hollister, teaching, and our families. of the water refilling station they installed a couple years prior. As it turns out, the school was going through a kitchen remodel and the Superintendent/Principal requested that it be put in during the process. “The students use it,” the Vice Principal told me. As we walked toward the refilling station, the third graders were chasing balls and running this way and that, the school was just as alive as 1987 when I had gone there. 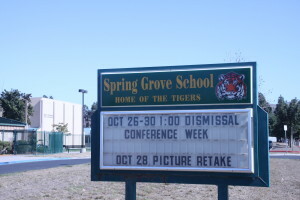 Now twenty-two years later, Spring Grove had cold filtered water flowing through the refilling station; free for students, staff, and whoever else may be there on campus to fill a canteen. When I went to school, we used the water fountains. Water fountains were cool then, but we grew to hate them. The “germs”, the sanitation, and having to arch over the faucet and wait your turn all became inconveniences at some point. Now the independence of one-time-use plastic water bottles has made its presence be known, and since then the market for bottled water has exploded. I see them everywhere. My mother, who works at Cerra Vista Elementary School, says that most of her kids bring a new plastic water bottle in everyday. She has more than twenty students. So lets use fifteen as the number of bottles used by kids everyday in her class multiplied by the number of school days (one hundred eighty). That would equal two thousand seven hundred bottles used per year in just her classroom alone! On average, only twenty-percent of those bottles used are recycled, which means that two thousand one hundred sixty of those bottles are in landfills, our waterways, or some other place like the side of the road. The cost of production and purchasing water bottles is not cheap either. If we spent the same amount on bottled water and instead put it directly toward class funding it could equate to at least three thousand dollars a year per classroom! We need awareness of the issue and an alternative rather than increasing plastic waste and potential health problems associated with plastic, not to mention the potential health effects of plastic exposure. 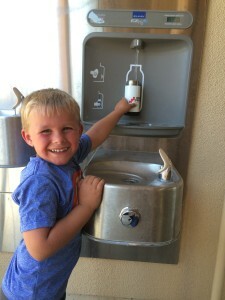 The progressive idea of providing schools with a safe, refillable water station as an alternative and encouraging canteens is the responsible thing to do. Our nostalgia is real. We love our hometown. Are there things we wish were different? Of course, but if you look hard there are people, institutions, and businesses being progressive. Hollister has a storied, progressive past and will have a storied and progressive future that will become more than a reference to a clothing brand. That is my hope.